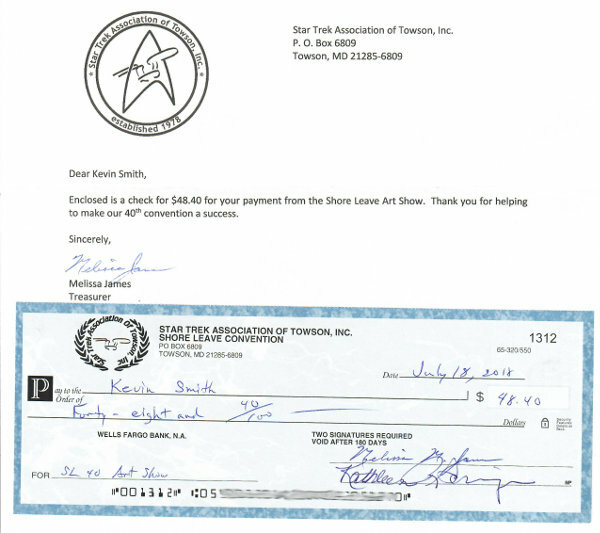 As I'd posted here and on Patreon, I entered a few pieces of my artwork in the Shore Leave art show this year. And it worked out better than I'd hoped! I sold a print and a painting! 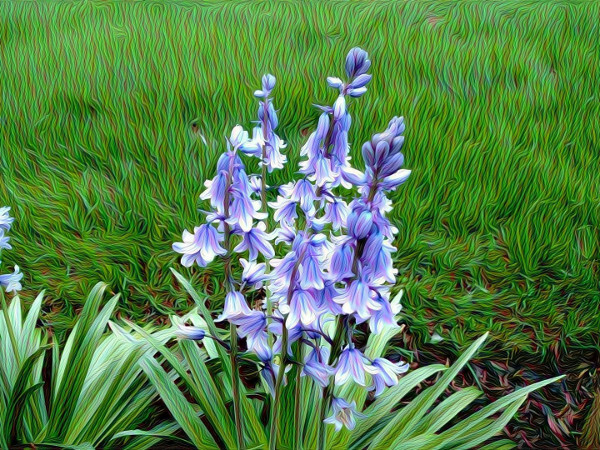 The first one that sold, Hyacinths, was a print of a computer-generated image based on a photograph of my mother's hyacinths. I was surprised this was the first to go. I didn't think a flower picture would draw much interest at a sci-fi convention. 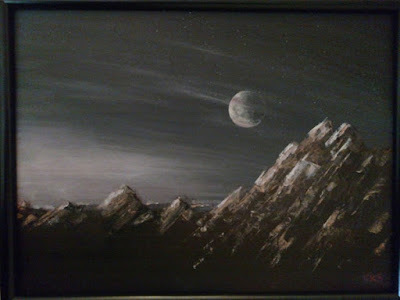 The second picture that sold was Alien Dawn #1. It didn't get picked up until late Sunday, so I spent most of the weekend wondering if the person who bid on it would come back. Best of all, I got my first check as an artist. To be honest, that's not true. The best part was finding out that someone liked my artwork enough to buy it. 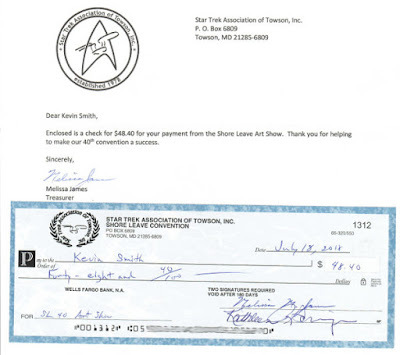 But the check is nice—even though Shore Leave took a cut. The third picture I brought, Gear Girl, generated a lot of interest, but no one bought it. I thought it would be the first to go. I guess I'll bring it back next year with a bunch more artwork! At least that's the plan. Speaking of which, I have to come up with some ideas. I know I want to do an Alien Dawn #2. And Lisa Shambrook has me thinking about dragons. And trees. I need to do a few sketches. I know, I'm supposed to be writing, too. There's not enough time! BTW, I'll have more on Shore Leave in coming blog posts. I can't wait to see Alien Dawn #2. The flowers are so vibrant, I can understand how they went first. I guess even sci-fi peeps are multi-faceted. I painted myself into a corner (pun intended) by naming the picture Alien Dawn #1. Now I HAVE to paint at least one more or I'll look really silly! But I do have some ideas in mind. And I want to have more than tree pictures to hang next year. I noticed that artists having enough material to fill a display panel had a stronger presence in the room. Dang... Why am I always making more work for myself? That should read, "I want to have more than THREE pictures to hang next year." Where's my editor?